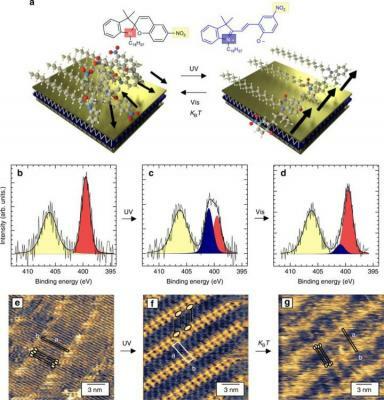 More importantly, this light-induced reorganization at the molecular level induces large changes in the macroscopic electrical properties of the hybrid devices. The molecules, together with the layers of graphene and related materials, can convert single-molecule events into a spatially homogeneous switching action that generates a macroscopic electrical response. "Thanks to this new approach, we can exploit the capacity of collective switching events occurring in superlattices of photochromic molecules assembled onto graphene and related materials to induce large scale and reversible modulation in the electrical properties of high-performance opto-electronic devices" explains Paolo Samorì, lead author of the paper. "This technology could find applications in the next generation of smart and portable electronics, with programmable properties," he adds.